Home > Tips > Cat Teeth Chattering: What Does It Mean? Is your feline a chatterbox? 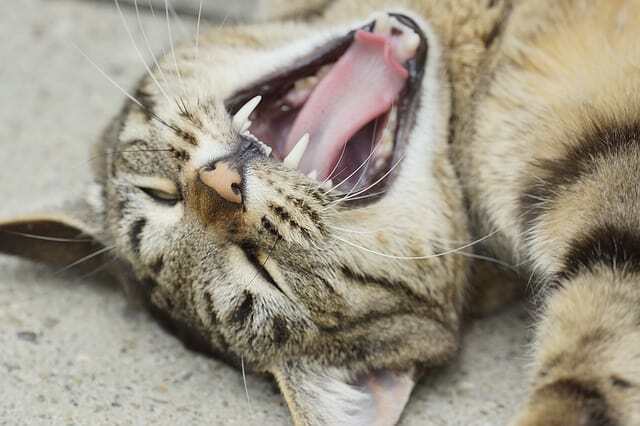 Cat teeth chattering may seem like a bizarre notion at first, but most cat owners can attest to hearing their feline make these strange noises. Unlike when human’s teeth chatter, cats aren’t shivering from the cold. Cats primarily make a ‘chattering’ sound when focused on exciting, tempting prey. 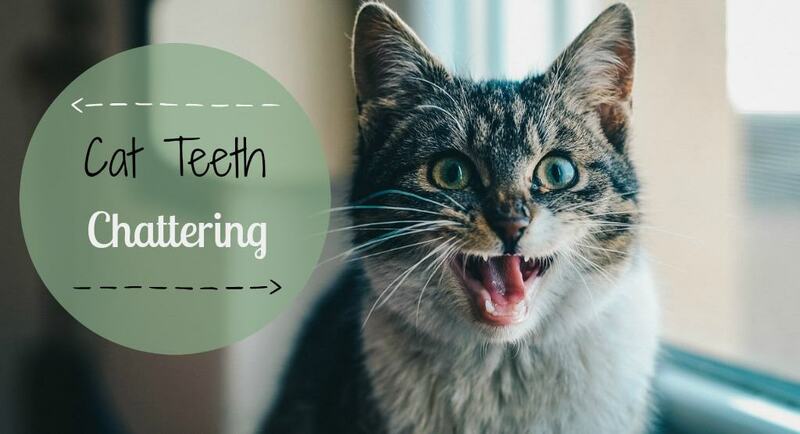 However, it is important to note that cat teeth chattering could also be due to an underlying health or dental issue if accompanied by increased salivation, or other abnormal behavior (for example). 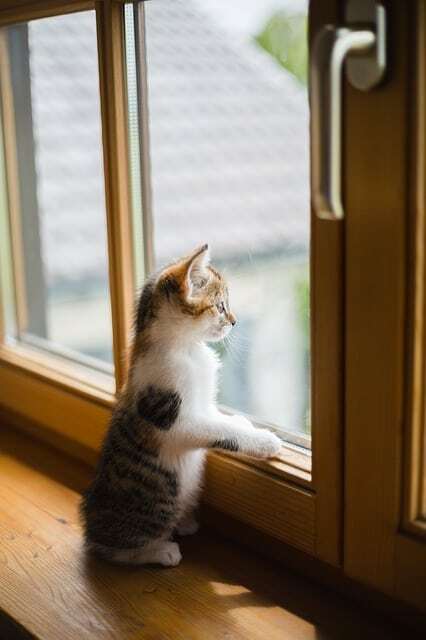 I grew up with cats and never heard them make this chatter or chirping noise until my cat, Kitty, let out this high-pitched chatter as she sat at the window. That was years ago already, but I’ll never forget being curious about cats and what makes them chatter after that. Yoda chatters almost everyday, either in excitement or in frustration, from pigeon-watching. Sometimes he may even get a little too excited. When we least expect it, we hear a loud “BANG!” We then see Yoda’s wet nose marks on the window. That must hurt! In this article we will help you identify the differences between a cat who is just a chatterbox and likes to look at pretty birdies, and cats whose teeth chatter due to an underlying health problem. Cat Teeth Chattering: Dental or Health Problem? 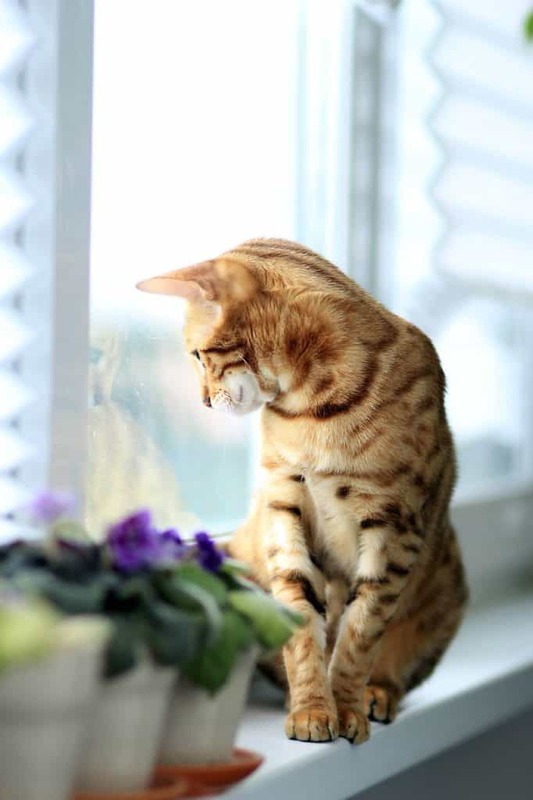 Cat teeth chattering or chirping is very common among indoor cats who like to look out windows. Your cat’s chatter is an expression of excitement (let me at ’em, let me at ’em!) or frustration (curse this dreadful window..the birdie’s just right there I can almost taste it..). 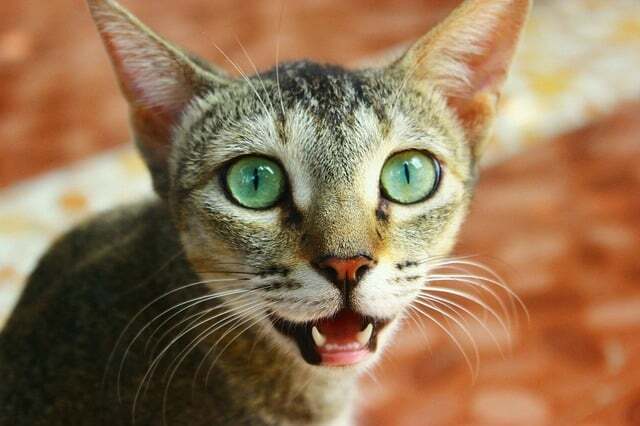 Experts believe this chatter sound comes from a cat’s instinct to perform a kill bite. By vibrating it’s jaw and sliding it’s teeth, the cat is able to kill it’s prey swiftly by severing it’s spinal cord. What talent they have! There has even been research that suggests cats can copy the calls of their prey. Which theory do you think it is? Excitement, frustration, instinct, or mimicking? Cats can make over 100 vocal sounds, and chattering is just one of them! If you notice your cat’s teeth chattering when s/he is just watching prey from the window, or chasing toys, then there’s no need to be alarmed. Cat owners will agree that this type of behavior is quite normal. 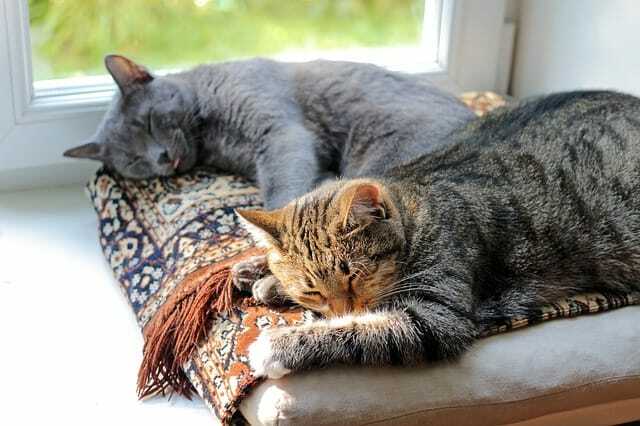 What’s not normal, however, is cat teeth chattering in addition to salivating, lethargy, or abnormal/strange behavior. The terms cat chattering and cat teeth chattering often get used as synonyms, but I will separate these terms in order to better illustrate the following discussion. Cat chatter you might say, refers more the sound cats make when hunting prey (as just previously discussed above). Cat teeth chattering, however, though similar, does not necessarily suggest the ‘chatter’ sound, but rather the teeth doing the action of chattering. Make sense? If your cat is chattering (making the chatter sound at birds, etc.) this is not cause for alarm. However, if you notice your cat’s teeth chattering, in addition to heavy salivation, weepy eyes, bouts of aggression, lethargy, or other abnormal behavior, then this could signal a potential health or dental problem. Cats teeth may chatter if they are experiencing oral discomfort. An infected tooth, for example, can make their teeth chatter as they try to relieve the discomfort. Both kittens and adult cats can have oral discomfort, just like humans. They can develop mouth ulcers, get tooth aches, have a rotten tooth or develop dental disease, etc. Your cat’s teeth needs caring for, too, so it’s important to not let these symptoms go untreated. Take your kitty to the vet to have an oral examination. Your vet will be able to give you a complete diagnosis and treatment plan. For more information about cat teeth health, see our articles on how to clean your cat’s teeth and the best cat toothpaste. It’s likely that your cat’s teeth chattering results from a dental issue, but sometimes it can signal more serious problems, such as rabies. If your cat is not up-to-date on his vaccinations, is an outdoor cat, and starts showing aggressive behavior, increased salivation and teeth chatter, it’s possible your cat has rabies. Kittens and adult cats, no matter young or old, require rabies vaccination as rabies is a deadly disease that is transmissible to humans. Cat teeth chattering, as we discussed, is primarily caused by a cat’s normal instinct to get frustrated or excited as they focus on their prey. But just to be safe, let’s not assume that that is the only reason why cats teeth chatter. Cat teeth grinding or chattering is a symptom of various dental or health issues that will require immediate attention. 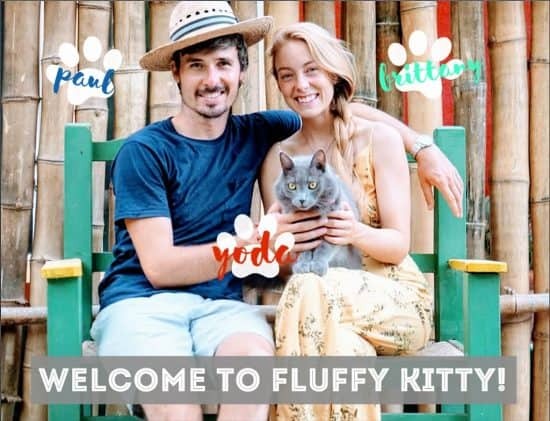 Do not skip out on your kitty’s important vaccinations, or try to soothe their dental or health discomfort on your own without your vet’s advice. Fluffy Kitty always aims to bring you thorough information to help us cat pawents give the best to our beasts. We hope you enjoyed the article and don’t hesitate to send us your comments and questions! Next Post Can I Use Essential Oils on My Cat ?